Michel is from Havana, Cuba. He began "his conservatory training at the age of 10 at Escuela Elemental de Música Manuel Samuell as a saxophone major where he completed his basic studies." He also studied saxophone at the "prestigious conservatory Conservatorio Amadeo Roldan." While studying at Roldan, he began developing his own unique "style of classical and popular music combined." It was at Roldan that his interest in Jazz was born. Michel's unique style won him an award at the international JoJazz competition in 2005 and the adoration of the audience. At the Jojazz competition in 2006 he received an award for composition and interpretation. This competition exhibited Michel's musical development with "a more solid concept, both musically and aesthetically." In 2010 Michel was given the great honor of being on the panel of judges at the JoJazz competition. Michel "has worked extensively with jazz master Bobby Carcacess. He is also a favorite of grammy winner Joaquín Betancourt, Jorge Reyes, Jorge Luis Chicoy, Orlando Sánchez, grammy winner Maraca and most notably Omara Portuondo. He has performed at the best venues in Italy, France, Germany, Switzerland, Russia, Holland, Spain and Canada." 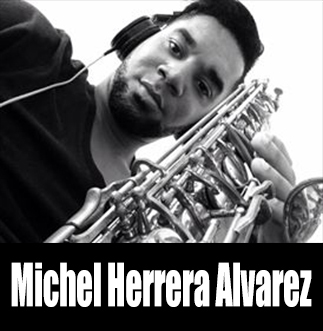 "Joven Jazz All Stars is led by a saxophone player, Michel Herrera, who is an absolutely incredible and very highly respected musician in Cuba's jazz community. He plays regularly with Maraca, Bobby Carcasses, Josef Kumba, Grammy winner Joaquin Betancourt and Omara Portuondo. Joven Jazz's new CD was a prize (all expenses paid) because they won the International JoJazz (young Jazz festival) in Havana. Although he is still young enough to compete, Michel was chosen to be a judge for this year's festival. The members are all incredibly skilled musicians under age 30, and the music is very fresh and original. As further evidence of their skill and success, they collaborated with Wynton Marsalis and the Lincoln Center Jazz band this October in Havana, Cuba. Cuba has a rich history of amazing musicians that have been received in the US with many sold out shows since they have been re-entering the US after an 8 year embargo. Their CD “ En La Espera” released in September 2010." "At the age of 26, the prodigious saxophonist and composer Michel Herrera is one of the brightest young stars in today's Cuba. 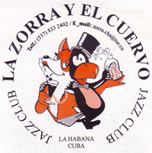 A graduate of Havana's Amadeo Roldán Conservatory, Herrera organized his own band, Joven Jazz (initially a sextet, and later expanded to an octet), in October of 2007. Produced by Joaquín Betancourt two years later, Herrera's awesome bandleading debut (En La Espera, Producciones Colibrí) was recently issued in Colombia. 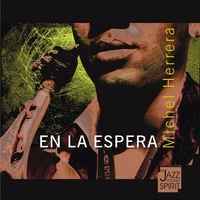 Showcasing Herrera's exquisite compositional qualities and lyrical sax playing, as well as his gorgeous approach to the Cuban jazz idiom, En La Espera features some of Cuba's most talented young jazz players:"